The comings and goings of foreign forces throughout Malta’s history have created a legacy of military architecture that is testament to Malta’s strategic maritime importance. In fact, after spending even just a few days on the Maltese Islands, it will come as no surprise to hear that Malta has often been called the ‘Fortress Island’. While the days of savage invaders and Ottoman fleets are long gone, the retired fortifications still stand strong; scattered across the Islands and keeping a protective eye on the Maltese coast. Largely from two periods in Maltese history, most fortifications date back to the time of the Knights of St. John (1530 – 1798) and to the time of the British (1800 – 1964). From coastal forts and Valletta’s bastions to the Grand Palace and war museums, wherever you go in Malta you are sure to discover reminders of wartime battles and military crusades. Malta’s past is strongly tied to the Grand Harbour, a natural harbour that has been in use as a place of refuge since ancient times. The Upper and Lower Barakka Gardens, two beautiful and serene public gardens in Valletta, are the perfect points from which to absorb the grandeur of the harbour. The northeast facing mouth of the harbour is flanked by Fort St. Elmo on the Valletta side and Fort Ricasoli on the side of the Three Cities; these are the fortified cities of Cospicua, Vittoriosa (also known as Birgu) and Senglea, which sit on the opposite side of the Grand Harbour to Valletta. 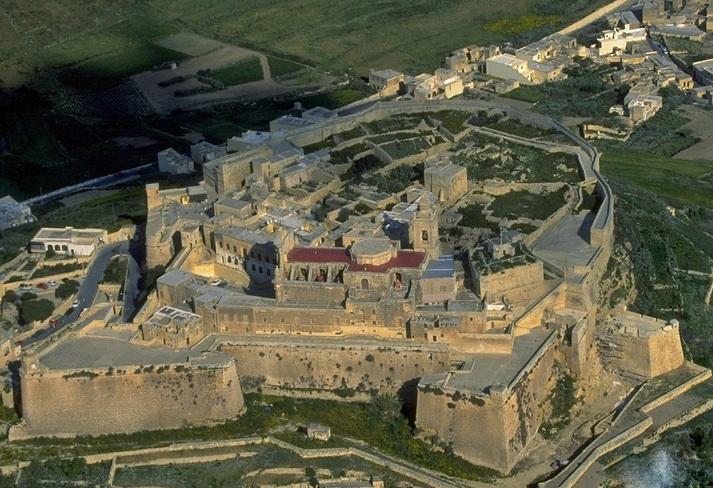 Starting life as a small fort in 1488, the arrival of the Knights of St. John in Malta saw Fort St. Elmo reinforced and strengthened over the years. It eventually served as the site for the heroic defence of Malta during the Great Siege in 1565, when the Knights and the Maltese fought and beat the invading Ottoman Empire in one of the bloodiest and most celebrated events of sixteenth-century Europe. Today, Fort St. Elmo holds the ‘In Guardia’ and ‘Alarme’ military parades and historical re-enactments in full period costume for visitors to enjoy. 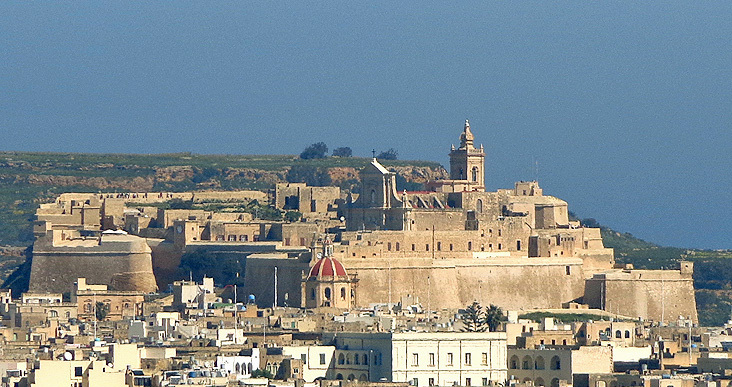 The Three Cities are dominated by Fort St. Angelo, which stands at the top of Birgu. The town’s other name of ‘Vittoriosa’ or ‘Victorious City’ refers directly to Malta’s triumph in the Great Siege and pays heed to the central role of Fort St. Angelo in the historic protection of Malta. Previously known as ‘Castello a Mare’ or ‘fort by the sea’, the fort stands on the site of a previously fortified Roman settlement and served as the seat of the Grand Master of the Knights of St. John upon their arrival in Malta in 1530. The fort’s legendary status is due to its heroic victory over the Saracen armada during the Great Siege, a status upheld by the British who retained the fort’s importance as a military installation during the Second World War. While currently under restoration, Fort St. Angelo is soon to be opened as a major attraction for visitors to the Maltese Islands. 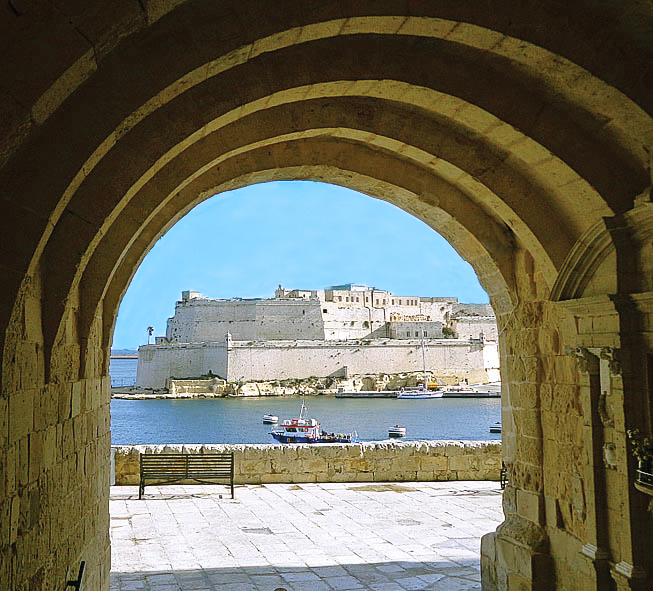 A view over the fort’s exterior magnificence can still, however, be enjoyed from the Barakka Gardens in Valletta. Following the Great Siege in 1565, the victorious Knights starting making architectural plans for what was later to become the capital city of Valletta. The Church of Our Lady of Victories and the two Cavaliers of St. James and St. John were the first structures to be erected. While starting out life as a raised gun platform to counteract land attacks, St. James Cavalier is now Malta’s Centre for Creativity. Immense renovations as part of the Millennium Project have transformed St. James Cavalier into a hub for the contemporary art scene in Malta, housing exhibitions, cinematic and theatrical performances, and other forms of artistic and cultural entertainment. Spread across Valletta are the Knights’ auberges, grand hostels constructed to house the Knights of each of the eight European territories present in the Order of St. John. With three of the auberges having been demolished, five of the original eight still stand. The Auberge de Castille, now housing the office of the Prime Minister, is one of the finest architectural works in Malta with a flight of steps leading up to its spectacular façade. The original Auberge d’Italie was transformed into the Grand Master’s Palace, whose imposing exterior dominates Palace Square and the heart of Valletta. Once acting as the residence of the Grand Masters of the Knights of the Order of St. John, the Palace now serves as the Office of the President and the House of Representatives. It is also possible to visit the Armoury and the State Apartments of the Grand Master’s Palace; a worthwhile visit arousing imagined memories of the legendary battles and the opulent life of the Order. ookout posts and watch towers line the coast of Malta. These towers were built by the Knights in the seventeenth century to serve as an early warning system against invaders. Each tower was strategically placed in sight of neighbouring towers and, as soon as one tower spotted signs of the enemy, a fire would be lit and then seen by the next tower, which would subsequently light its own fire to carry message of warning all around the island. This coastal guarding system was sixty years in the making under the guidance of three Grand Masters, Wignacourt, Lascaris and De Redin. A number of these towers still stand, including Wignacourt Tower in St. Paul’s Bay, which is now looked after by volunteers and open daily to visitors before lunch and in the evenings. 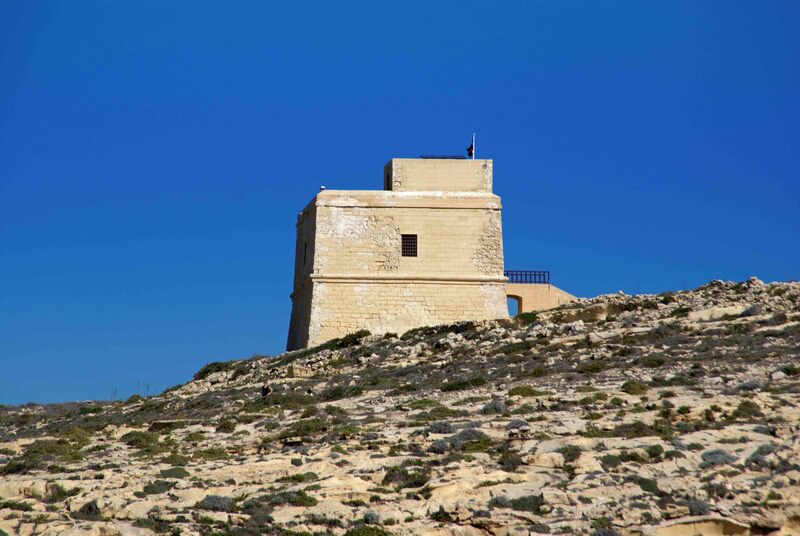 St. Agatha’s Tower, also known as the Red Tower because of the painted colour of its façade, was built in 1649 as the furthest outpost from Valletta and the signal post for communication with Malta’s sister island of Gozo. Located on the outskirts of the seaside village of Mellieha in the northwest of Malta, the tower is an impressive structure with a flight of steps leading up to a drawbridge and then to the main entrance of the tower. The tower continued to be manned by the British during the World Wars and now serves as a radar station under the Armed Forces of Malta. The tower is looked after by volunteers and is open to visitors everyday. The area around the tower is wonderful for walks with spectacular all-round views of Gozo, Comino and Ghadira Bay in Mellieha. Getting lost in the ancient stone walled city of Mdina while trying to navigate its narrow alleyways is the perfect way to take in the exquisite architectural detail of Malta’s old capital city. Surrounded by a wide moat and thick defensive bastions and fortifications, the medieval town is situated on a hill with views over most of the island. Mdina received the Knights of the Order of St. John following their expulsion from Rhodes in 1530, and has been the home to Malta’s noble families ever since. Impressive palaces and buildings line Mdina’s shaded narrow streets and the town’s stunning mix of medieval and baroque architecture is one of the finest in Europe. Its medieval bastions have retained their duty of protection over the centuries, and even sheltered the Maltese during the onslaught of the Second World War. 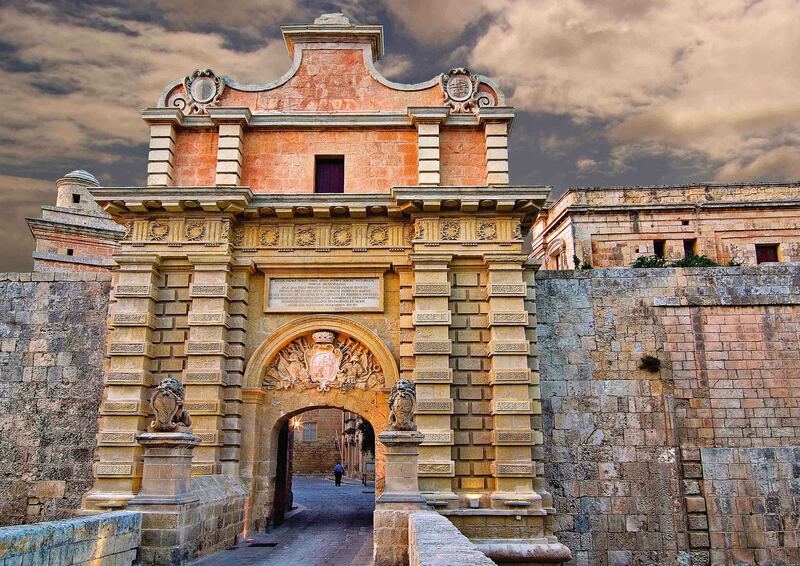 Now known as “the silent city”, Mdina makes for a peaceful way to spend an afternoon. The restriction on the entry of cars ensures that the town remains calm and very quiet, allowing the visitor to savour a touch of Malta’s medieval and aristocratic past. 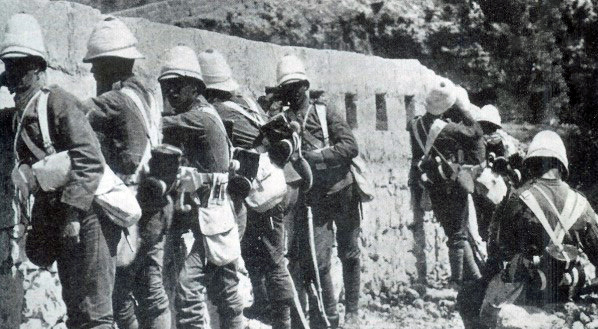 Upon their arrival in Malta in 1880, the British made use of a large part of Malta’s existent fortifications but also went on to construct new forts for increased defence. Fort Madalena in Madliena was built during the reign of Queen Victoria as part of the Victoria Lines defences that stretch across the island. The fort was later used by the Royal Air Force as a communications post and, in keeping with its original status as a protector of Malta, the fort is currently used as the headquarters of the St. John Rescue Corps and falls under the responsibility of the Maltese Armed Forces. Built at around the same time as Fort Madalena between 1878 and 1886, Fort Rinella was constructed as the most technologically advanced war machine of the time, capable of protecting Malta from the supremacy of the Italian navy. The fort is located on the eastern side of the Grand Harbour in the town of Kalkara and is currently open to visitors from Tuesday to Sunday. Tours include historical re-enactments and a film show about the fort’s history. Perhaps the most intriguing display at Fort Rinella, however, is the 100-tonne gun with a barrel reaching almost ten metres in length. Delving deep into the uniqueness of Malta’s rich history through a trip to one or more of Malta’s fortifications is definitely a worthwhile holiday activity. 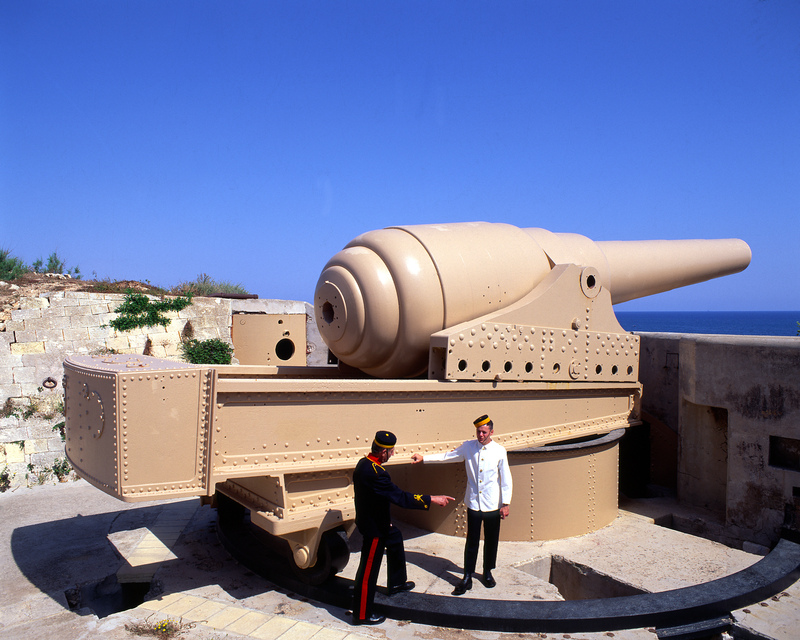 Wartime enthusiasts will be enthralled by memories of Malta’s military past and even those with no prior knowledge will enjoy the images of soldierly prowess Malta’s fortifications arouse. Gozo’s historical heritage is intricately linked to its role in the protection of the Maltese Islands throughout the centuries. Coastal defence fortifications on Gozo and the tiny island of Comino were vital for the safeguarding of the Maltese population during the period of the Knights of the Order of St. John (1530 – 1798) and that of the British (1800 – 1964) in Malta. While the larger island of Malta is perhaps better known for its large and imposing fortifications, Gozo and Comino should not be overlooked. The Citadel in Victoria, Gozo, is an ancient fortified city that sits atop a hill keeping a keen protective eye over the inhabitants of the small island of Gozo. The site upon which the Citadel stands is thought to have been first fortified during the Bronze Age in 1500 BC, later developed by the Phoenicians and then reaching its current acropolis-like status in the Middle Ages. The Citadel comprises thick defensive stone walls that rise up on the hill above the surrounding town. The seventeenth century baroque cathedral that lies within the Citadel’s walls was built on the site where a Roman temple dedicated to Juno once stood. The cathedral is most well known for its stunning trompe l’oeil fresco on its ceiling, which depicts a dome that was in fact never built. After their victory in the Great Siege of Malta in 1565, when the Maltese and the Knights fought fiercely to protect the Maltese Islands from the invading Ottoman Empire, the Knights set about intensifying the fortifications of the Citadel to further protect the Gozitan inhabitants from further attack. In fact, under the rule of law up until 1637, the Gozitans were required to retreat to the walls of the Citadel for their protection during the night. In the peaceful times that followed, rural Gozitans were allowed to settle outside the Citadel, slowly forming what came to be known as the surrounding town of Rabat (also known as Victoria). 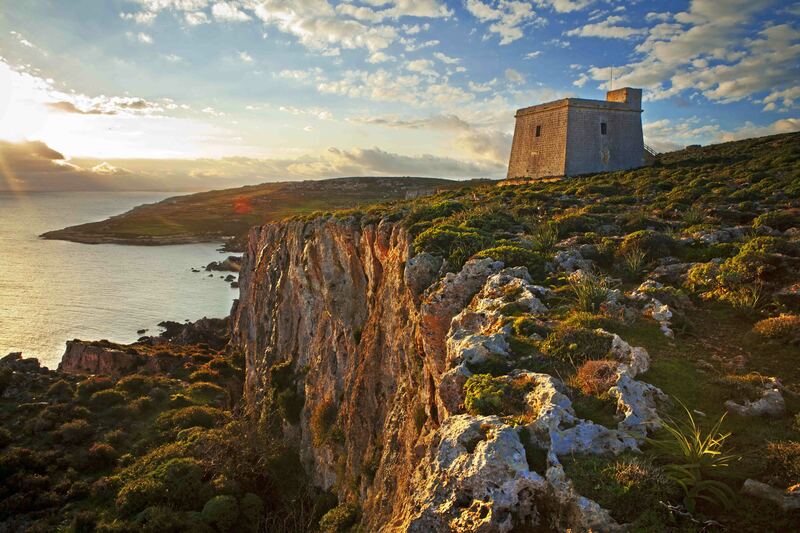 Perched on the cliffs of Comino, the Santa Maria Tower dominates the tiny island that lies between Malta and Gozo. The tower was originally constructed by the Knights in 1618 as part of a system of watch towers that was set up to facilitate communication and defence across the Maltese Islands. The towers were erected as a chain located strategically across Malta, Comino and Gozo to serve as a warning system in case of invasions; one tower would light a fire to warn the next tower, which would do the same to warn the next tower and so on. The walls of the Santa Maria Tower are about six metres thick, ideal for keeping invaders out as well as for keeping prisoners in, as was the case when the tower was used as a prison for suspected spies during the French Blockade (1798 – 1800). Today, the tower is perhaps most well known for having appeared in the ‘Count of Monte Kristo’ film, and provides for a great destination for visitors walking around the island. Another one of the coastal towers forming part of the early warning system across the Maltese Islands is the Mgarr ix-Xini Tower in Gozo. Having been expertly restored, the tower still guards the entrance to the small bay of the same name on Gozo’s southwest coastline. 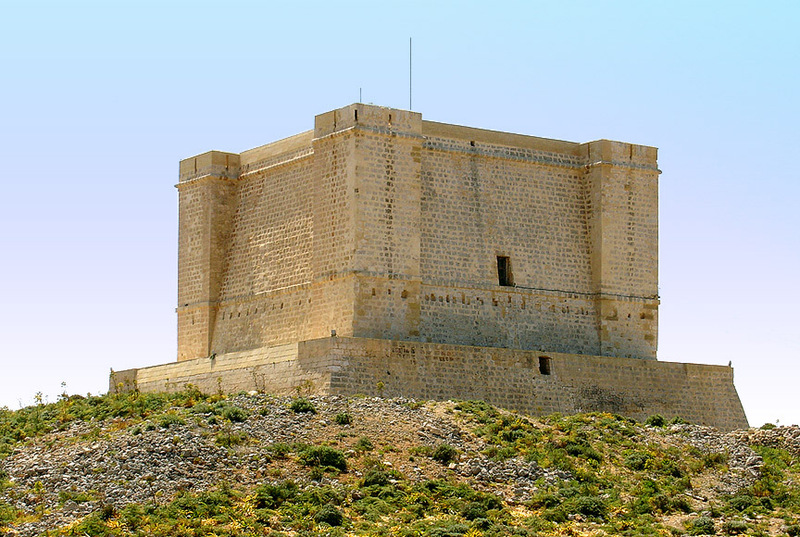 The tower is open for visits from the public and serves as one of Gozo’s unique cultural and touristic attractions. The Dwejra Tower in Gozo, just off the road leading down from the village of San Lawrenz to the inland sea in Dwejra, was built in 1652 to protect the undefended coast in that part of the island. The tower also served to stop unauthorised people from accessing the nearby ‘Fungus Rock’ as it was believed that the rock was home to a plant containing unique medicinal properties. Dwejra Tower is open to visitors from Monday to Friday and on Sunday. Though not strictly a fortification, the Gurdan Lighthouse in the small village of Ghasri in Gozo is worth visiting if even for the view alone. The lighthouse was constructed by the British in 1851 due to ever increasing maritime traffic. Most visitors to the lighthouse walk up to it from Ghasri, traversing the steep hill to enjoy breath-taking 360-degree views over the Mediterranean.